There was no stopping Gor Mahia this past weekend, as they overcame a determined Bandari side. With the league virtually sewn up, every team is now aiming to become the one team that can derail Gor Mahia’s charge towards an unbeaten season. Since the formation of the KPL. No team has finished the league unbeaten. The last time a team finished the league unbeaten in Kenya was in the late 1980s, over 25 years ago. They are a very good side and you can see why they are so far away in the KPL,” he said to supersport. “I think that they are deserving of their position and they have a good chance of going unbeaten for the remainder of the season,” he added. East African Breweries limited have made an executive decision to hold their encounter against Gor Mahia at the Kisumu Stadium. EABL are enchanted by the vast and passionate crowds that always show up in Kisumu to support Gor Mahia. So they have decided to move the match to Kisumu though it provides Gor Mahia with an advantage since Kisumu is essentially Gor Mahia’s homeground. “It is a great opportunity for our marketing team to carry out various activations and that is why we will play the match in Kisumu,” he told goal.com. 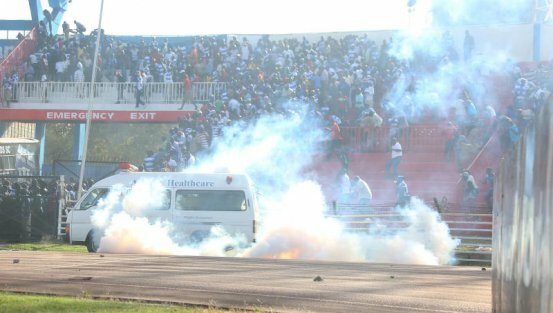 A report posted in the Nairobian several days ago suggests that the recent violence that saw the match pitting arch rivals Gor Mahia and AFC Leopards abandoned at Nyayo Stadium may have been politically instigated. Apparently the Nairobian has obtained an audio recording that shows that the violence could have been planned elsewhere and imported to Nyayo Stadium. The two minute recording has unidentified person claiming that a top Jubilee politician used an agent to hire people from Kawangware to disrupt the match. The recording claims that people were given money to start throwing stones immediately Gor Mahia scored a goal or two. “Three cars were hired to take people to Nyayo Stadium, and they were to start throwing stones once AFC Leopards had gone down. We knew that since Gor Mahia were doing well, they would not easily get provoked,” says the unidentified voice. The person further claims that the person who gave out money was acting at the behest of a top Jubilee politician. “He lives in Lavington and has been promised Parliamentary seat in Nairobi if he fails in his bid to become Senator in 2017,” the recording continues. When contacted, Football Kenya Federation chairman Sam Nyamweya said he was not aware if the violence was planned or spontaneous. “I am shocked, and this is criminal if indeed it was planned. Why would anyone want to spoil such a top game?” wondered Nyamweya. After the match, 19 Gor Mahia fans were supposedly arrested for uprooting the grass planted by the county. Meanwhile AFC fans who were clearly captured on camera throwing stones were not arrested. Gor Mahia moved a step closer to claiming a third succesive Kenya premier League title when they registered an impressive away win against Bandari at Mombasa county stadium. Just as important, Gor Mahia maintained their momentum towards an unbeaten season. The absence of Michael Olunga gave Enock Agwanda a spot in the starting line-up. Agwanda almost put Gor Mahia ahead as early as the 4th minute, but he missed the target narrowly. Gor Mahia took the lead in the 24th minute when Geoffrey Walusimbi’s effort was mishandled by goalkeeper Wilson Oburu for Gor Mahia first goal. Bandari gave a good account of themselves and pressed forward for an equalizer with George Abege and Shaban Kenga leading the charge. They claimed an equalizer in the 62nd minute from the penalty spot after Haron Sjakava was adjudged to have handled the ball in the box. Kevin Kimani stepped forward to score. Walusimbi was on the mark again in the 78th minute to give Gor Mahia the winning goal. Eloquent Gor Mahia assistant coach Bobby Ogolla was elated after the match. Gor Mahia now need two more wins to secure their third title which will entitle them to keep the trophy for good. 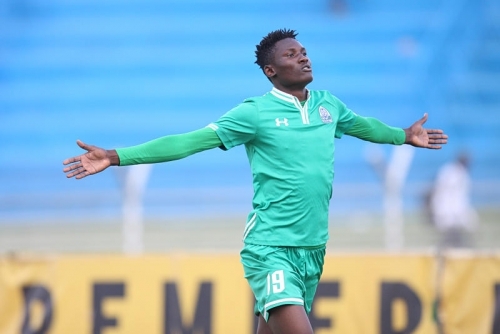 Gor Mahia striker Michael Olunga, who is in South Africa for trials with Bidvest Wits says he will stay at Gor Mahia until January before considering his next option. Olunga, who is a second year geospatial engineering student at The Technical University of Kenya. also likely wants to finish this semesters studies before proceeding to a foreign league. “I came to check out on the prospects of moving here in January, not now. I also wanted to confirm if they would be willing to let me study at the University of Witwatersrand as I play for them, and I think everything is going well. “Things are going on very well, I have been training with the team (Bidvest Wits) since Monday but it is still too early to tell for sure. We have a friendly match on Friday and if I am selected to play then I will have a clearer picture of what is going on,” he said. Olunga first came into the limelight when he scored several crucial goals to steer Upper Hill school to the Nairobi schools title including a famous 4-3 win over Ofafa Jericho. he then steered Upper Hill to the national finals where the lost 2-1 to St Anthonys Kitale. Olunga was voted MVP and was the top scorer at nationals. At the finals he announced that he would like to join Gor Mahia, a request which was ignored by the Gor Mahia brass at the time. Prior to joining Gor Mahia, he played for Tusker FC then Thika where his talents finally came to the fore. He is currently second leading scorer in the league with 15 goals to his credit and has scored more goals in all competitions than any Kenyan striker in 2015. Gor Mahia will attempt to put the disappointment of the abandoned Mashemeji derby behind them when they take on Bandari FC at Mombasa county stadium on Saturday. 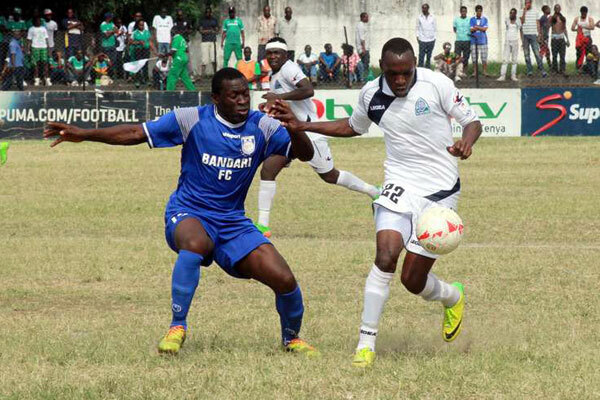 Bandari has caused numerous problems to Gor Mahia when they face each other in Mombasa. 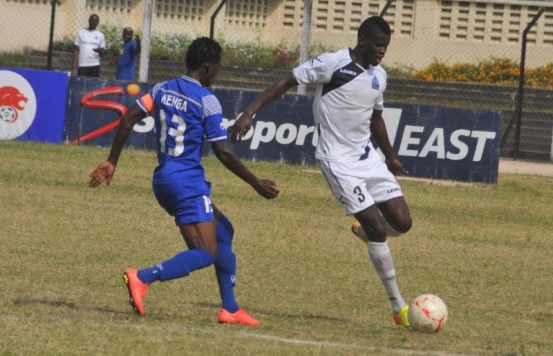 In fact last year, Bandari beat Gor mahia in Mombasa. 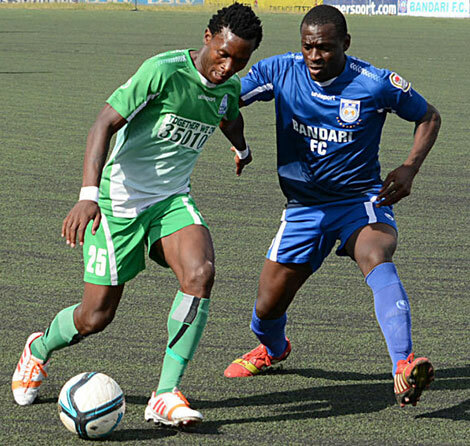 This year, Gor Mahia earned a measure of revenge, beating Bandari 2-1 when the two sides met in March in Nairobi. Coach Nuttall knows that this encounter will not be easy. “It is not going to be an easy game. We have played a friendly game in Mombasa and we lost to Bandari. They are a good side with very young players and we will have to be at our best,” he said to supersport.com. And Gor Mahia will play without talisman Michael Olunga for the first time this season. Which means Enock Agwanda who has been eager to be in the starting line-up since he joined this season will have a chance to prove his worth. Agwanda has proven lethal when he came onto the game in the second half and will be relied upon to fulfill the scoring role played by Agwanda. And coach Nuttall will have worked on the new Agwanda-Kagere combination in training this week. Part of the reason that Gor Mahia have had difficulty with Bandari in Mombasa is the weather which is hot and often humid. “The weather too will not be favouring us but we have to go there and not only maintain our aggressive form but also come out of the game with a win.” continued Nuttall. But given how well Gor Mahia acquited themselves during the CECAFA cup in Dar es Salaaam recently, they should play well against Bandari. The Kenya Premier League has awarded Gor Mahia all three points from the abandoned mashemeji derby encounter from last weekend. The match was abandoned in the 65th minute after the referee awarded Gor Mahia a penalty following a blatant handball by Jackson Saleh of AFC. KPL chief executive Jack Oguda told Daily Nation Sport on Tuesday that the two clubs have been summoned to appear before the Independent Disciplinary and Complaints committee (IDCC) next Wednesday on the same. In another show of poor sportsmanship, AFC have announced that they will appeal the decision. “We are definitely going to appeal the ruling. We were the away team, hence not responsible for security. We will present our case to IDCC,” said Asava Kadima the AFC secretary general to the Nation. Gor Mahia official Ronald Ngala has told off AFC officials. 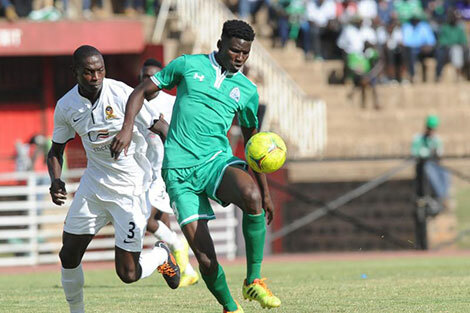 Gor Mahia striker Michael Olunga is said to have departed for South Africa where he will attend trials Bidvest Wits, a club with whom he has been linked to for the last two months. Olunga’s rights are owned by Liberty Academy which is run by former Harambee stars coach Jacob Mulee. In the recently started SAPL, Bidvest Wits have won one and lost one games and are in 10th position. Last season they finished in 3rd position. Mulee reveals that Olunga will be able to continue his studies at the University of Witswatersrand. “We have received a lot of offers from various clubs but we believe this one suits him best since it offers him an opportunity to continue with his studies as well as play football professionally” continued Mulee. Olunga is currently Gor Mahia’s leading scorer and the second highest scorer in the 2015 KPL. Gor Mahia will likely not earn any remuneration from Olunga’s transfer. But his departure offers an opportunity for other strikers to step forward and prove their worth. Reports posted on goal.com suggest that Nairobi governor Evans Kidero is moving to ban both Gor Mahia and AFC Leopards from the City of Nairobi. The source has revealed to Goal that Governor Evan Kidero has also demanded that the two clubs compensate for damages caused after Sunday’s ‘Mashemeji derby’ that was called off owing to crowd trouble. In this case Kidero would be taking a cue from Governor Mutua of Machakos who banned Gor Mahia from Machakos. Meanwhile Kidero is silent on the fact that one of his employees, driving a city of Nairobi vehicle actually ran over several Gor Mahia fans deliberately. After releasing the initial statement banning both clubs, Kidero rescinded it saying he had no capacity to do so immediately. He said the banning issue was being considered. Kidero however wants compensation from organizers of the Kenya Premier League game after hundreds of fans stormed into the streets destroying property and uprooting trees along Uhuru highway. This behaviour from fans is unnacceptable and is precisly why these teams cannot gain sponsorship while lower clubs have lucrative deals. Meanwhile Sam Nyamweya has fired yet another salvo against Gor Mahia . KFF now blames Gor Mahia saying they had requested the home club and KPL to inform them of their security plans on August 19 ahead of the match in vain. “However the League organizers KPL and the home team never responded to our letters and adamantly never invited us for any pre-event security meeting as required,” said FKF in a statement. The statement said FKF issued out their recommended guidelines that are standard procedure during such a high risk encounter. “We also wish to point out that on match day there was a serious security lapse due to the very few police officers present and also the serious breach by the organizers by not frisking fans entering the stadium.” No buffer zone was created as per the recommendation of the governing body and both clubs stewards engaged in fights inside the perimeter fence, said the statement. Ambrose Rachier as KPL chair has been in battle after battle with Sam Nyamweya of the FKF over issues like TV revenue sharing and how many teams will be relegated. Nyamweya is now taking it upon himself to make life difficuult for Gor Mahia. Last month he refused to pay for Gor Mahia to travel to Tanzania for the CECAFA cup despite having committed to do the same. The match between Gor was been stopped at minute 65 due to fan trouble. AFC Leopards fans began to throw objects onto the field when Gor Mahia were awarded a penalty after Jackson Saleh handled the ball in the penalty box. After a prolonged wait, security officials determined that continuing the match was not feasible on security grounds. Matchwise, Gor Mahia thoroughly dominated this encounter often pinning AFC leopards into their own half as Ingwe offered nothing in retaliation. By Minute 60, Logarusic had exhausted all his sunstitutions while Nuttall had not utilized on sub. AFC fans sensing defeat, decided to bring the match to a premature end. Gor Mahia will be awarded all three points. If KPL is objective, they should met out a form of punishment against AFC. THis is the second time this season they have caused abandonment of a match upon sensing defeat.